The last of a trio of once-troubled golf courses east of Richmond is in the hands of a new owner who’s already fast at work on a seven-figure plan to revive the shuttered club. Stonehouse Golf Club in Toano, which has been closed and left largely unkempt since fall 2017, sold last month for $800,000. The buyer was Joe Sanders, a resident of nearby West Point and former member of Stonehouse and its neighboring sister courses, Brickshire and Royal New Kent, which Traditional Golf Properties owned until last year. Traditional Golf put the three clubs up for sale in 2017 in the face of financial troubles and let Stonehouse and Royal New Kent go dark. Brickshire and Royal New Kent since have found new owners, while Stonehouse was left dormant until Sanders swooped in. A shot of the overgrowth on hole No. 15 at Stonehouse. Sanders, who closed on the purchase Dec. 11, said he was driven to the deal by both his lifelong love of golf and what he saw as a business risk worth taking. Indeed, the $800,000 price tag was a far cry from the $5 million Traditional paid for Stonehouse in 2001 and the $16.3 million a previous owner paid in 1997, a year after it opened. 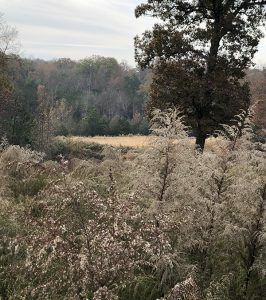 Sanders said the deal also works because he can use crews and equipment from his general contracting company, J. Sanders Construction Co., to help overhaul the overgrown course and its aged infrastructure. He has several crews on site in the midst of what he estimates will be around $1.4 million in upgrades to the course and its grounds, all with the goal of reopening for play as a semiprivate club by July 1. 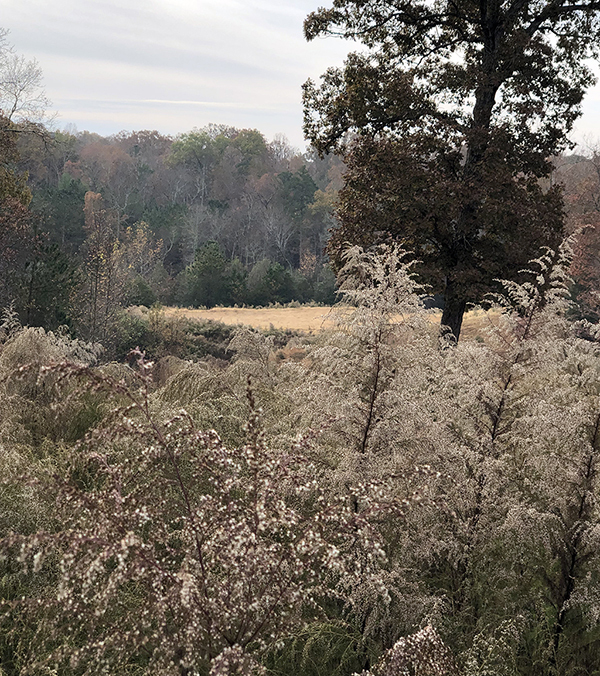 That work includes new pumps and controls for the irrigation system, drainage upgrades, removal of trees and – perhaps most noticeably – cutting the grass. A more recent shot of No. 15 after Sanders’ crews went to work. 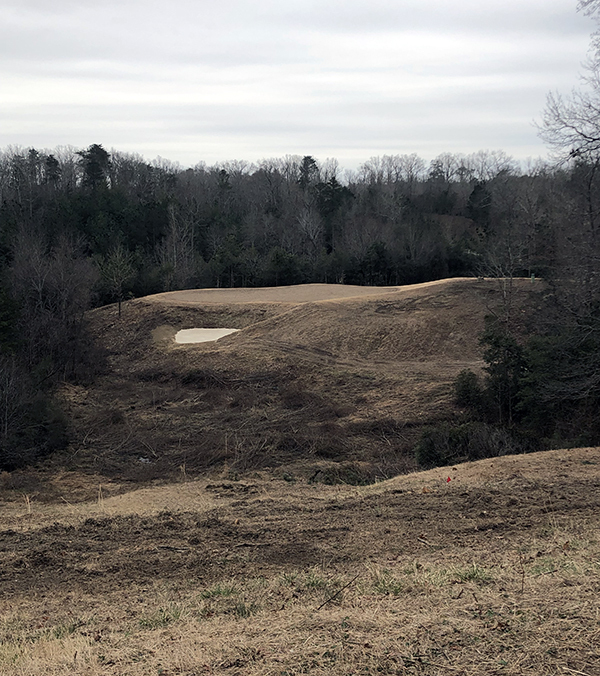 “When we started out there, the grass was three, four feet high,” Sanders said, adding that his crews also helped with drainage fixes at Royal New Kent when South Carolina-based Wingfield Golf bought it last year. Both Stonehouse and Royal New Kent were designed by the late Mike Strantz, a course architect who designed only seven or eight courses before his death at 50. 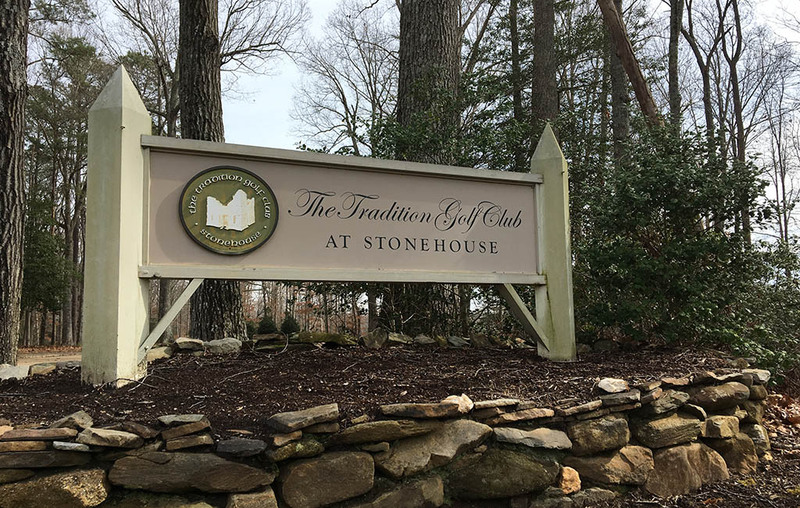 Sanders said he has two of the three main hires for Stonehouse already in place, with Helen Ware as general manager and Jeffrey Yarborough as course superintendent. Yarborough previously was in that role at King Carter Golf Club in Irvington, Virginia. He’s still looking for a head golf pro and a restaurateur to run the clubhouse’s food service. He’s also working on a deal to buy a fleet of new carts. He said he’s had support and well wishes from the homeowners association of the surrounding subdivision. Its residents were worried about the course falling into the hands of someone who wanted to use the land for something other than golf. While he said he’s fully aware of the risk of getting into the golf business, Sanders said he’s confident about moving forward.